Fauna & Flora in or near Hopefield, Cape West Coast in the Western Cape, South Africa. Just inland from the kitesurfing hotspot of Langebaan on the Cape West Coast, is the beautiful retreat called Hopefield. Here, rolling fields of wild flowers meet the high skies of Africa, historical buildings dot the landscape, and tree-lined streets wind their way through the little town. 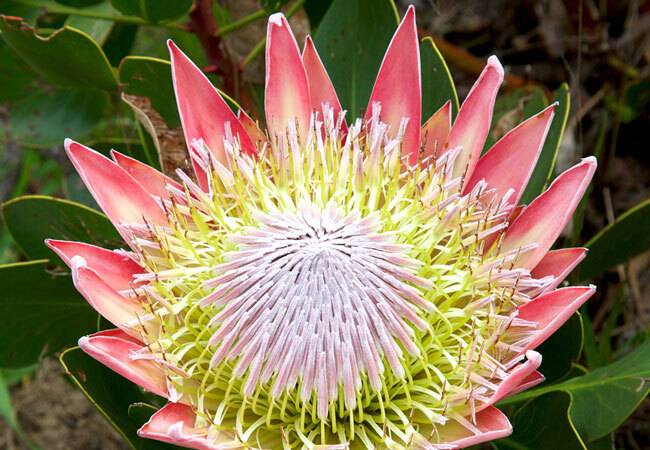 But, more than this, the town is the annual host of the Hopefield Fynbos Show, which is all about celebrating and conserving the breath-taking flora that is fynbos. This is a colourful, scrubby plant family that is as beautiful as it is varied. And, it is endemic to South Africa. So, the Hopefield Fynbos Show gives visitors and locals the opportunity to see some of the hundreds of fynbos species in flower displays, herbariums, and stunning fynbos biodiversity zones. In fact, these have been boasted some of the best in the world. The Hopefield Sports Centre is transformed into a wonderland of flowers for a realistic portrayal of the time at which this countryside bursts into colour as the wild flowers blossom. This show is hosted by the community and for the community. So, there is a focus on volunteers playing their part in protecting and showcasing the spectacular flora that makes this part of the country so exquisite. Collecting the plants, building the displays, conducting tours of the hall, and other responsibilities are all undertaken by these local people, who take such pride in their home and this fabulous show. In addition to the flowers, there will be coffee stall and food stalls. So, those attending the show can make a full day out of it.